The elbow joint is formed by the junction of the humerus (upper arm bone), & radius & ulna (forearm bones). The radius is the shorter of the two forearm bones & can be divided into the head, neck & body. The radial head articulates with the humerus & ulna to form the elbow joint. When you reach out to try to break a fall, the head of the radius is often the area that fractures. Radial head fractures are common injuries that occur more frequently in women. 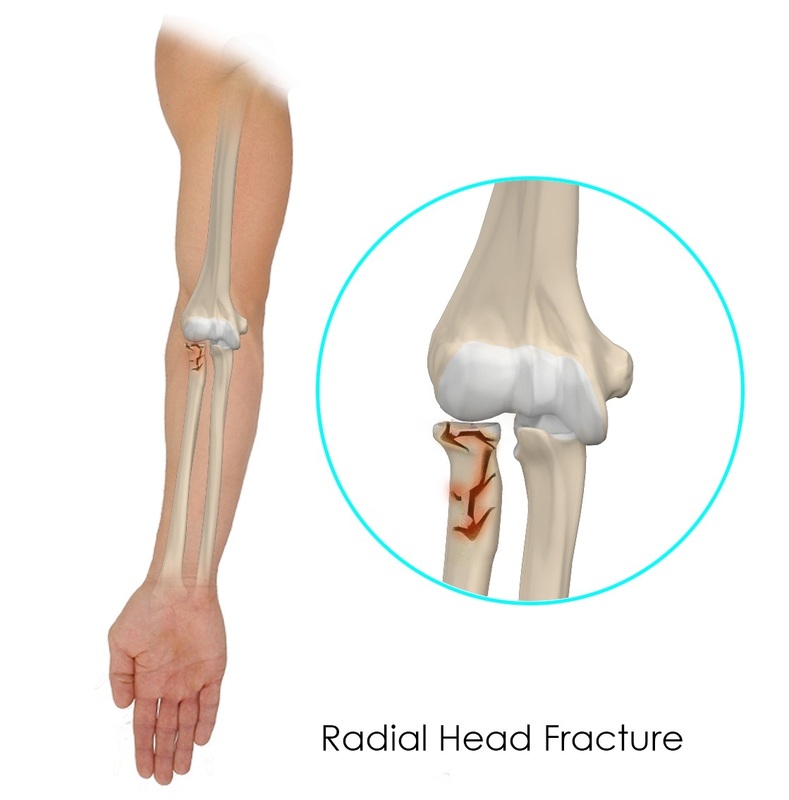 Symptoms of a radial head fracture may include pain, swelling, & difficulty in turning your forearm or moving your elbow. When you present with these symptoms, your doctor will perform a thorough physical examination & order imaging studies such as X-rays & CT scan to identify the fracture. The fracture is then classified according to severity to aid in appropriate treatment. Small cracks in the radial head (type I fracture) are treated non-surgically with a splint & immobilized in a sling. A larger fracture with slight dislocation (type II fracture) is treated conservatively with splinting & immobilization; or surgically to remove bone fragments, fix the bones together with screws & a plate, & repair damaged soft tissues. In case of multiple fractures & significant injury to the joint & supporting ligaments (type III fracture), your surgeon will remove or fix the broken pieces & repair soft tissue damage, or replace a severely damaged radial head with a prosthesis. Following treatment, therapy involving stretching exercises should be performed to avoid stiffness of the elbow joint.